– Licensed by the UK Gambling Commission and the Malta Gaming Authority! – No Deposit Free Spins for New Members! – Great Deposit Match Bonuses! – Fantastic Online Slot Machines from NetEnt, Microgaming, ELK Studios and many more! Jackpot Paradise have been around since 2012 and they they offer a great online casino where you can enjoy fantastic promotions and outstanding casino games. They use a games platform provided by ProgressPlay which include online casino games vendors like NetEnt, Microgaming, Scientific Games, NextGen, ELK Studios, Extreme Live Gaming, Thunderkick, Rabcat, Cryptologic and Quickspin among others. The games complete games portfolio holds over 600 top quality games where the majority are video slots and slot machines but you can also play classic table games like Baccarat, Blackjack, Roulette and Poker games. Jackpot Paradise also offer a great Live Casino product from Extreme Live Gaming where you can get find the thrills and excitement of a brick and mortar casino. You can also enjoy a nice collection of instant win games like scratch cards and keno games. Jackpot Paradise offer a complete casino games portfolio that will suit any type of casino player. Jackpot Paradise casino lobby is easy to navigate and there will not be any problems to locate your favourite games. In addition to this, Jackpot Paradise have listed the Return To Player percentage for each of their games which is something you hardly see anywhere else these days. So if you want to try a new game you can easily check out the RTP before you start spinning the reels. The customer support at Jackpot Paradise is available between 6:00 to 23:00 GMT and you can contact them by live chat or email. They have a specific contact page on their web site where you can either start the live chat or submit your email. Jackpot Paradise is operated by ProgressPlay Limited which is a company registered in Malta. They are licensed by the UK Gambling Commission and the Malta Gaming Authority. 5 Free Spins on Shaman Spirit video slot! New players can enjoy a great welcome bonus “on the house” at Jackpot Paradise! If you enter the bonus code: SS5 when you register your account you will get 5 free spins on Shaman Spirit video slot powered by Netent – No Deposit Needed! This bonus is not available for players residing in Belarus and Romania. The wagering requirement on the winnings from your free spins is 50x. 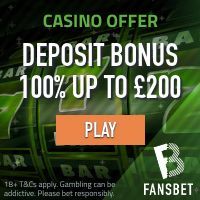 Get free spins on your deposit! Deposit with a minimum of £/€/$ 10 or 100kr to claim 15 Free Spins on Shaman Spirit on first deposit using the Bonus code “SS15”. To get the next set of 25 Free Spins on your 2nd deposit on Secret Garden video slot (Deposit with a minimum of £/€/$ 20) use the deposit code “SG01”. To enjoy the next set of 25 Free Spins on your 3rd deposit on the Secret Garden video (Deposit with a minimum of £/€/$ 25) use the deposit code “SG02”. Winnings from Deposit Bonus will be capped at 5 (five) times the Deposit Bonus. The above sign up offer and the deposit offer starts from 1st November until the 31st of January 2019. Note that terms and conditions apply for all the above mentioned bonuses. Jackpot Paradise accepts all major payment methods including credit/debit cards, e-wallets like Neteller and Moneybookers Skrill, PayByPhone and several instant bank transfer solutions. All transactions are processed in a safe environment, secured by the latest encryption technology. Jackpot Paradise have a fantastic collection of online slot machines from the very best slot producers including NetEnt, Microgaming, ELK Studios, Thunderkick, Rabcat, Cryptologic and Quickspin to name a few. This will ensure a great online casino experience. Some of the most popular slot machines at Jackpot Paradise are Steam Tower, Forsaken Kingdom, Spiñata Grande, Guns N Roses, Big Bad Wolf Slot, Foxin Wins and Superman Slot Machine. Jackpot Paradise also offer some of the highest paying progressive jackpot slots including Mega Moolah, Major Millions and Treasure Nile. Belgium, Belize, British Virgin Islands, Bulgaria, Croatia, Cyprus, Denmark, Sweden, Estonia, Finland, France, Germany, Greece, Hungary, Ireland, Israel, Italy, Lithuania, Luxembourg, Portugal, Romania, Serbia, Slovenia, Spain, Turkey and the United States of America.